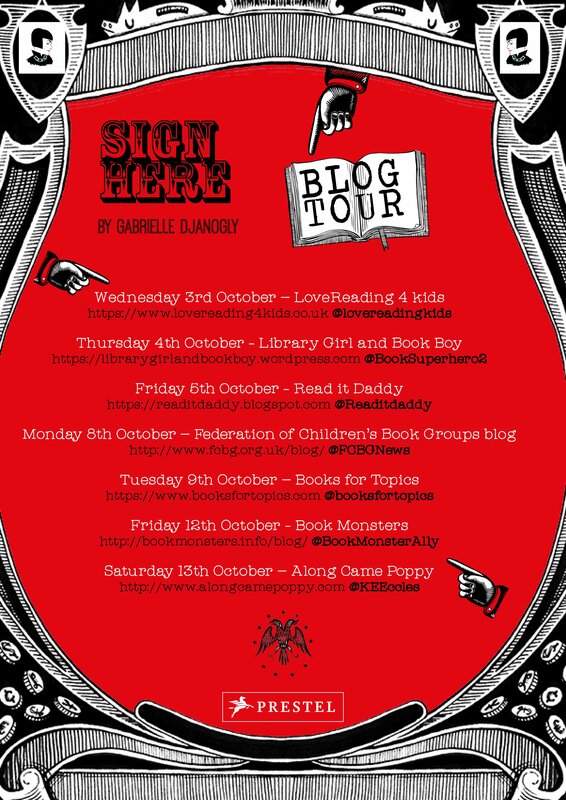 Welcome to my stop on the Sign Here blog tour. Sign Here is a truly unique book written by Gabrielle Djanogly, illustrated by Adele Mildred and published by Prestel. Interactive books for children are brilliant aren’t they? They can help to engage and interest a reluctant reader, they can be an aid and encouragement for children with special educational needs, they’re accessible, perfect in a supportive role, including dealing with mental health, but also they are fun! Some people are just doers, and to sit and read huge blocks of text requires a level of attention which some children will always find a challenge. Interactive books not only develop reading skills in a more subtle manner, but can also aid written and comprehension skills. Sign Here is a book like no other I’ve ever seen before. This is a book of forms. Every single page requires a level of interaction from the child, as every page is a different form designed for your child to fill out and help support with a huge variety of different aspects of life. 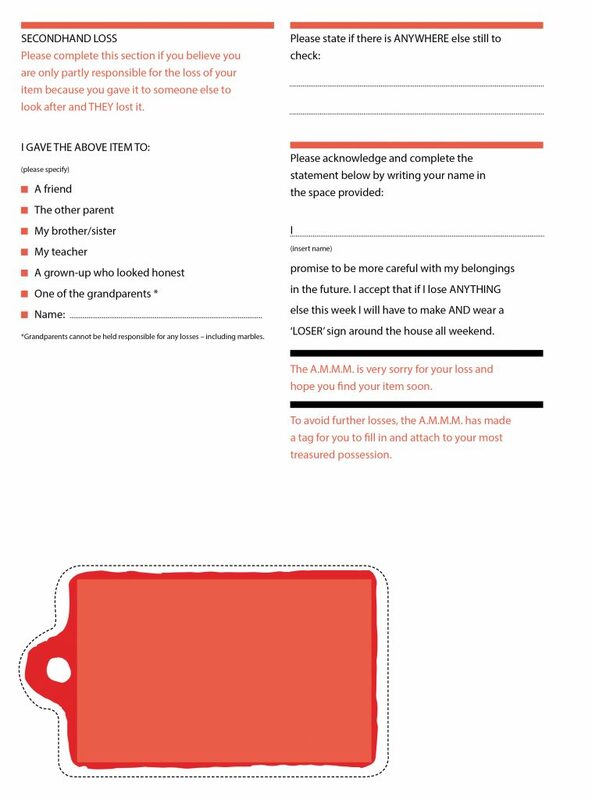 For example, we have a Pocket Money Raise Request Form, a Best Friend two part form, Birthday Party Form and my particular favourites the Celebration of Happy form and the Declaration of Sad. It’s a comprehensive and outstanding collection of realistic forms for children. Where this book comes into its own is as a form of communication. There are some things that children don’t always feel comfortable voicing, sometimes life is fast and there isn’t always time to bring things up, these forms are a way for a child to communicate with their parents and friends. 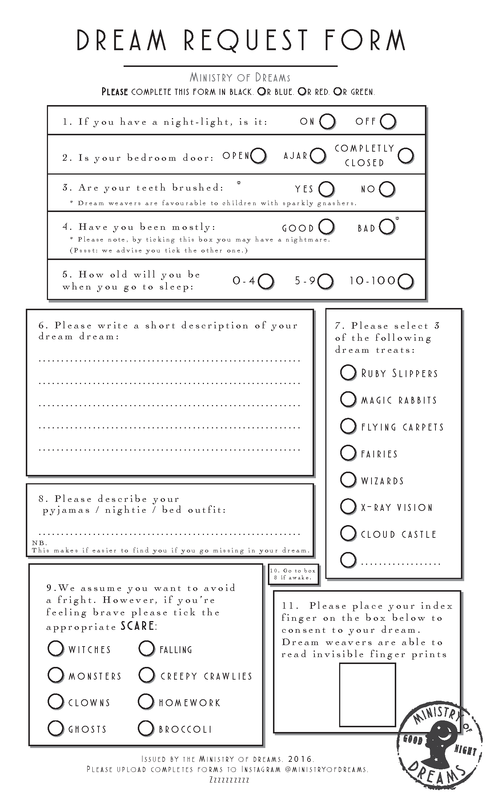 They can take time to ponder their answers, fill it in and hand it to the appropriate person for a response. It’s a very clever idea and one which I think I’d have loved as a child. From another, more fun angle, children love acting like adults. How many of us had play post offices, shops and libraries. How many of us played at being Mum and Dad. It’s an incredibly common fascination with children and they will love filling in official forms to get a sense of importance. Adele Mildred’s gorgeous illustrations are very graphical here and fit right into the style. The forms have a fun visual element but retain the right level of realness, perfectly done. Sign Here is unlike anything I’ve ever seen before, it’s fun, it’s helpful, it’s an ideal tool for use in schools with children who may need a little extra support with writing, reading and talking. It’s a brilliant introduction to form filling which adults have thrown on them at a certain age, with no real experience. An impressive collection brilliantly presented. I’m excited now to welcome onto the blog creator Gabrielle Djanogly to tell us a little about the development of these forms for kids. You really get an insight here into the hard work that goes from an initial idea of a book to full publication. Thank you Gabrielle! 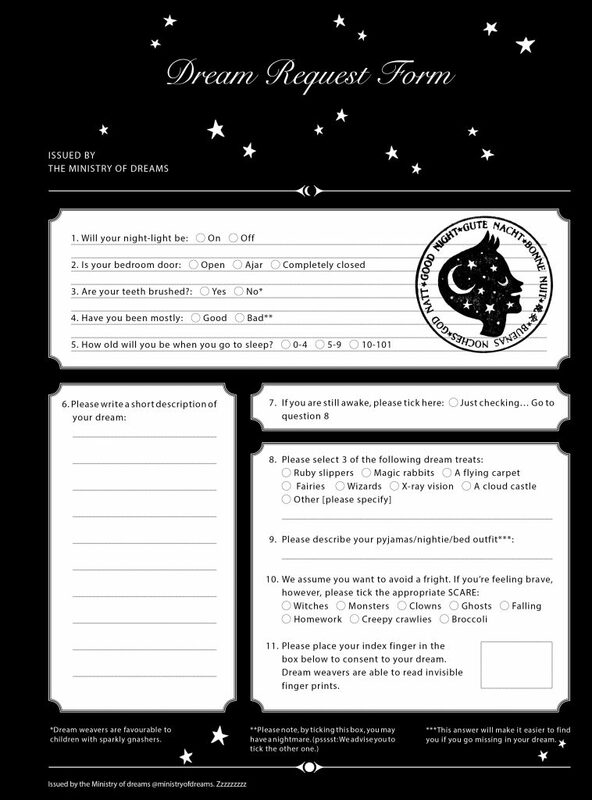 Sign Here began with a Dream Request form. It was the form I shared with Prestel, the publishers, unaware that it would eventually become, with their encouragement, one of twenty-two forms. Adèle Mildred, my business partner and bestie, had designed and illustrated the original form so it was strange to see it morph into something quite different and appear as it does now in the book. Not only did its appearance change but my text underwent a few editorial changes – it was a learning curve to be edited! 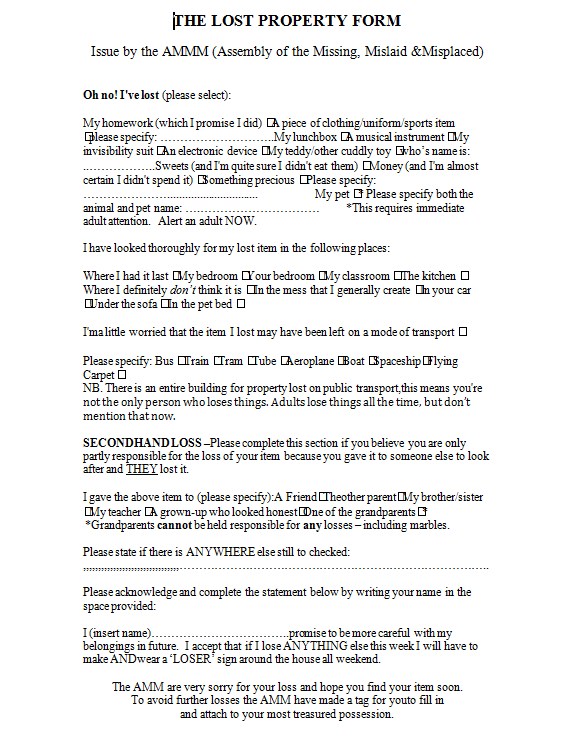 The other twenty-one forms in Sign Here were submitted to the publisher as word documents. They looked frighteningly dull in Times New Roman with an occasional word in bold or a grayscale WordArt shape.I shared all of these finished forms with Adèle and we would discuss ideas for her illustrations. Adèle has a brilliant eye, a sharp mind and fortunately we think in similar ways so we were often on the same page. 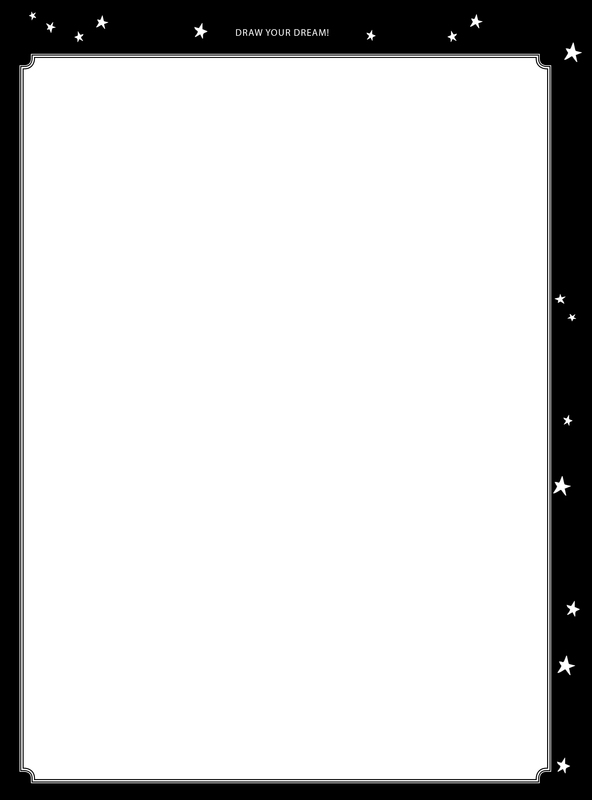 Within weeks of submitting our separate files it was decided the forms needed fewer words and more illustrations – spaces for written clock times were replaced with various clock face illustrations where children could draw on clock hands and lists of transport modes became small illustrations of trams, trains, buses and UFO’s. The next bit of the process was interesting, lengthy and for some time out of my hands. My text was to be translated for the German edition, Antrag Auf and it was from this translated text that the bilingual book designer would work on the layout. As a result when I first saw the forms they were in German and unfortunately, my comprehension is limited to “Hallo, hast du einen Anspitzer?“ (“Hello, do you have a pencil sharpener?“). I found it tricky to focus on the layout when I was unable to recognise the words but, of course, in good time I was able to see the English text in place. It was great to see each form with its own character. Not only had the illustrations come to life but uniform tick boxes now appeared in various shades and sizes, if they weren’t circles or stars. Suddenly there were twenty-two individual and engaging forms and my first book was ready for publication. 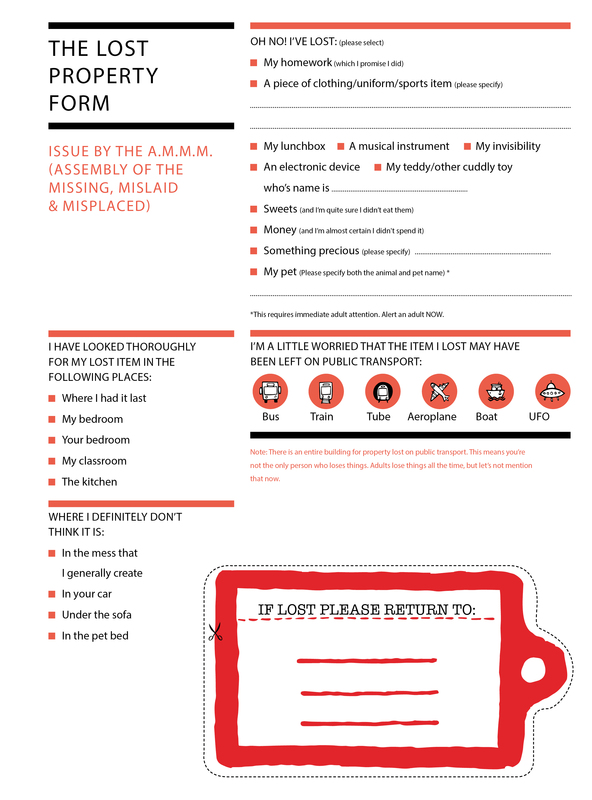 This is the original Lost Property Form, this was changed hugely in the final draft. Thank you again to Gabriella for this fab insight into the book development. 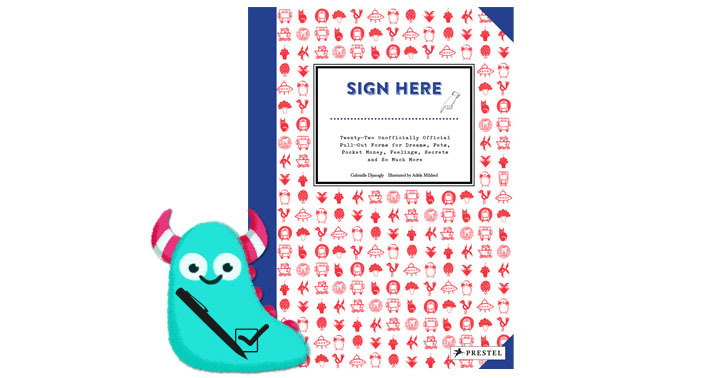 Sign Here is out now and available from all good book shops (not really suitable for libraries). Thank you to Prestel for sending me a copy of Sign Here, and thank you for reading this Book Monster review.